SUWON, South Korea, Oct. 16 (Yonhap) — Gyeonggi Province Gov. Lee Jae-myung plans to be examined at a hospital later Tuesday to discredit allegations that he had an extramarital affair with an actress, aides said. Lee plans to visit Ajou University Hospital in Suwon, south of Seoul, for the examination aimed at disproving a claim by actress Kim Boo-sun that he has a large mole on a private part of his body, the officials said. Kim made the claim to back up her allegation that she had a sexual relationship with Lee. Lee has denied Kim’s claims of an affair, and she has filed a complaint with police accusing Lee of violating national election law by denying the alleged affair with her when campaigning for the June local elections. 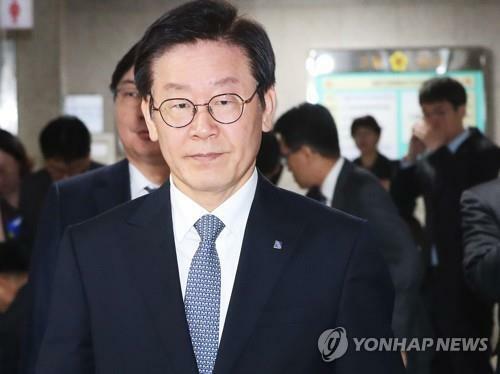 Officials said a dermatologist and a plastic surgeon will jointly examine Lee and three journalists covering the Gyeonggi Provincial government will be present during the examination as observers.